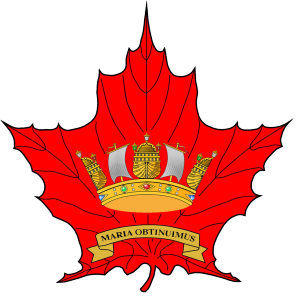 · If you want to make new friends with those that have an interest in “Maritime Affairs” and possibly renew old friendships with Naval and Canadian Armed Forces colleagues. · You will enjoy the many NAC-TO social activities organized each year. There is three major Annual events planned. In the fall we host a “Trafalgar Day Luncheon” at the Royal Canadian Military Institute. We also host our ‘Xmas Hoist’ in early December of each year at the Armour Heights Officers’ Mess, located at the Canadian Forces College. And this year we are planning a Spring ‘Dine In’ Dinner, also at the Armour Heights Officers’ Mess. · Our very popular Monthly Speaker Series is in its Eighth Year. The Speaker Series is held at the Armour Heights Officers’ Mess located at the Canadian Forces College. For the most part our guest speakers bring a Maritime/Naval theme to these presentations. An informal meal at the Mess beforehand and a Pint during the speaker is not uncommon. WHEN YOU ARE JOINING OR RENEWING, PLEASE CONSIDER A DONATION TO THE NAC, THE SEA CADET BURSARY FUND OR THE ENDOWMENT FUND. New or current members who want to pay by cheque please print out the application form and send it in with your cheque. New or current members may pay their membership dues using a credit card or Paypal below. New members please fill in the full details below. Existing members need only fill in the name, but may use the form to update your membership information as required. If you wish to renew for more than one NAC member, please make separate transactions for each member.